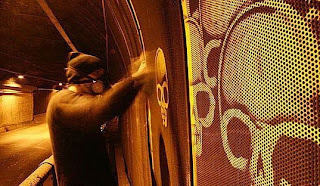 As much as one can love street art and graffiti, the environmental arguments stand strong and might trigger opposition to the art on the wall. 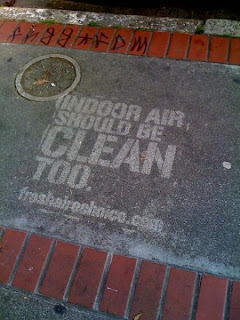 Not so anymore it seems, as creative minds have found a solution, even for the detrimantal effects of the spray can. Reverse Graffiti it is called. 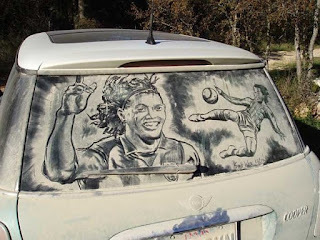 For this eco-friendly form of graffiti only soap and clots are needed to make little pieces of art on cars and walls in the city. By removing dust and dirt on polluted walls, great art works emerge and give life to otherwise forgotten and ugly city walls. 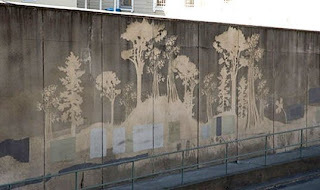 video) his reverse graffiti deserves all the attention it can get. 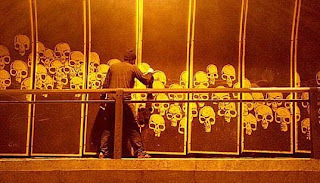 At least he caught the attention of authorities and forced them to thoroughly clean all the walls he had flourished with his skulls.